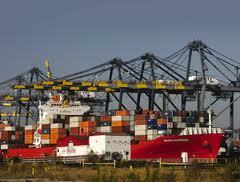 ← The Changing Role of Trade in the Changing International System. Novel Trade Issues in a Changing Global System. ….. The U.S. Chamber of Commerce contends that China’s use of its new antitrust and monopoly law may violate its WTO trade obligations. It argues WTO litigation should be considered by the U.S. against China. This is a difficult undertaking. The old GATT and the WTO never specifically included competition rules as part of its trade rules. This issue has been on the negotiating table for ever. The WTO should expand its coverage to cover competition rules by negotiating and creating newer rules. This should not be done through its dispute resolution system. “China’s Antitrust Rules and WTO Rules.” New York Times (Sept. 9, 2014). ….. Geopolitics and Financial Markets. Some argue that there is a disconnect between U.S. markets and global politics. That geopolitics aren’t relevant. My take … They aren’t relevant until they are and then it’s too late. Nothing like sticking your head in the sand. “Investors Ignoring War.” Financial Times (Sept. 9, 2014). ….. ‘Inversions’ allow offshore funds to escape U.S. tax liability, to ‘lend’ back, and to deduct ‘interest.’ Enough is enough. We need some sane tax policy and corrective legislation. “Tax Inverters.” Financial Times (Sept. 8, 2014). ….. The best research foreign money can buy? Should the Foreign Agents Registration Act of 1938 apply to Washington think tanks that take foreign money and conduct foreign policy and public policy research? Maybe not but how about at least full disclosure. “Foreign Powers and Think Tanks.” New York Times (Sept. 7, 2014). 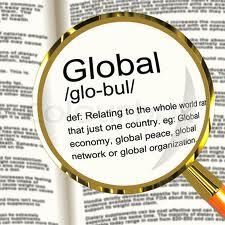 ….. Is the world in more ‘disorder’ today than previously in global history? Has President Obama ‘over-corrected’ as a matter of foreign policy? What is the balance between Realpolitik (and its heavy reliance on national interest) and a ‘values-driven’ foreign policy’? These are questions that Henry Kissinger deals with in his new book. Still have lingering doubts about his views after his service in the Nixon White House. But he does raise and discuss important foreign-policy issues of the day in a good historical and political context. “World Order.” Financial Times (Sept. 5, 2014). ….. Nothing like cherry-picking and weaving a negative narrative. Nationalism and economic interdependence are indeed global forces at work today. The nature of globalization is evolving, not deconstructing. Back to the future is never a good policy. Leadership can’t rest on only one state. Developing a consensus should be part of a U.S. strategy. One that holds it’s in the national interest of all stakeholders that rules are developed and enforced to provide effective global governance to transnational transactions. “Marching Back From Globalization.” Financial Times (Sept. 4, 2014). This entry was posted in Global Trade Relations and tagged China antitrust law and WTO rules, foreign funding of U.S. policy research, geopolitics and financial markets, globalization in reverse, Inversion, realpotitics. Bookmark the permalink.